In the last two months I’ve seen my home broadband double in speed and my mobile phone data plan include 5x more data – with no price increases. This is great since I occasionally telecommute and often use my mobile phone as a hotspot – I need fast, reliable connectivity wherever I am. Right now, my broadband is costing me about $1 per megabit of bandwidth per month. Broadband has never been cheaper – whether you use cable, DSL, fiber, etc. for your home or business. 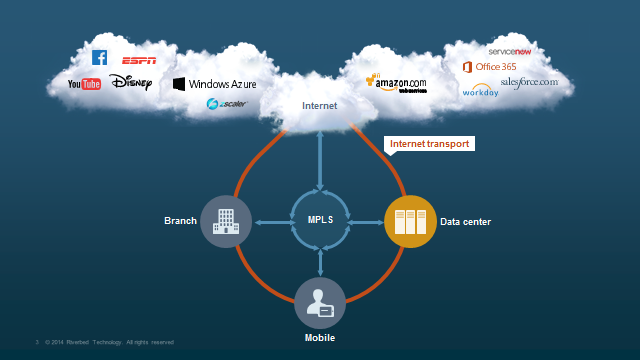 It’s no secret that most enterprises, including many of Riverbed’s customers are still heavily dependent on MPLS for their WAN connectivity. MPLS has seen some decline in costs, but is still very expensive relative to broadband. Earlier this month Riverbed held its annual FORCE user conference where we unveiled new innovations that set the stage to revolutionize enterprise WAN architectures with visibility, control, and optimization capabilities for hybrid enterprises. These new innovations lay the groundwork to help hybrid enterprises – those deploying a mix of on-premises and cloud applications – to start deploying a new WAN architecture that includes a mix of MPLS and broadband internet. MPLS still offers benefits, but as we shift to cloud computing, mobile, and improved broadband economics, its role in the WAN architecture needs to be carefully evaluated and balanced with other technologies. 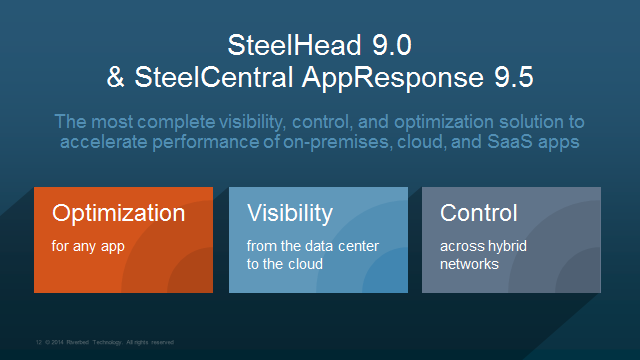 With Riverbed, hybrid enterprises can deploy a next-generation enterprise WAN architecture today with a combination of SteelHead and SteelCentral across your branch offices, mobile clients, in your private cloud or the public cloud gain the benefits of optimization, business-intelligent network control, and complete visibility with end-user experience monitoring. Now is the time to look at a new architecture for your WAN. 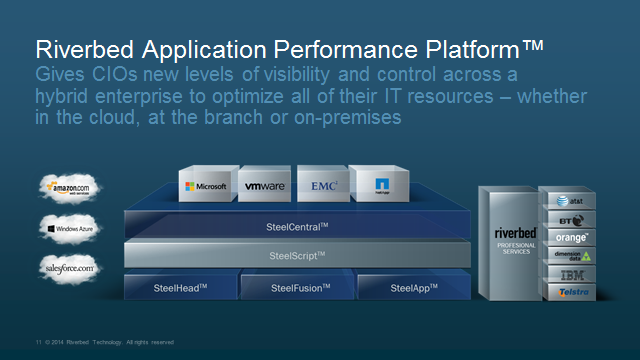 With the Riverbed Application Performance platform you have all of the tools to provide visibility, control and optimization that simplify your transition to the hybrid enterprise and leverage the economics of broadband connectivity.